Inactive ingredients: gelatin, stearic acid, silicon dioxide. Warrior Labz: It is a famous pharma company based in the USA. It tends to provide the finest supplements with incredible and exceptional outcomes to the well-regarded athletes. These constituents necessarily provide a slender body mass without fat and water accumulation. Epistane is well-regarded for its activity to oppose estrogen related effects to deliver lean body mass and ripped muscle tone. Halodrol is well-suited for the beginner athletes as it enables them to gain reduced fat content and shredded body form. Trenavar is a potent prohormone tends to provide immense strength and muscle tissue growth with intensified vascularity. If you take this prohormone individually, it may cause some side reactions such as aggression, hypertension and high cholesterol levels. In combination with other constituents in Vikings, it displays an outstanding efficacy without any significant negative outcomes. I-andro is actually known as 1-androsterone or regarded as a primary metabolite of testosterone. It does not get transformed into estrogen and never becomes a cause for gynecomastia related effects and bloated muscle appearance. It eliminates excess water from the body and helps in retaining mass. Carbopol is a polymer, actually added into the drug composite as a stabilizer and to condense the mixture. Milk thistle is mainly a natural additive to help dealing with the properties of other constituents. 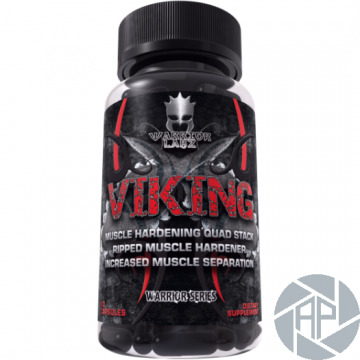 These ingredients collectively provide you a reasonable weight gain of about 4-8 kg with exceptional strengthening effects. These are combined in definite amounts to produce an effective synergism in the form of hard musculature and ample strength. Highly defined and refined muscularity can be attained during the pre-contest phases with this prohormone mega blend supplement to get adequate muscle hardness before the competition. With this prohormone, you can observe astounding effects after the workout in the form of a boosted stamina and swift recovery. 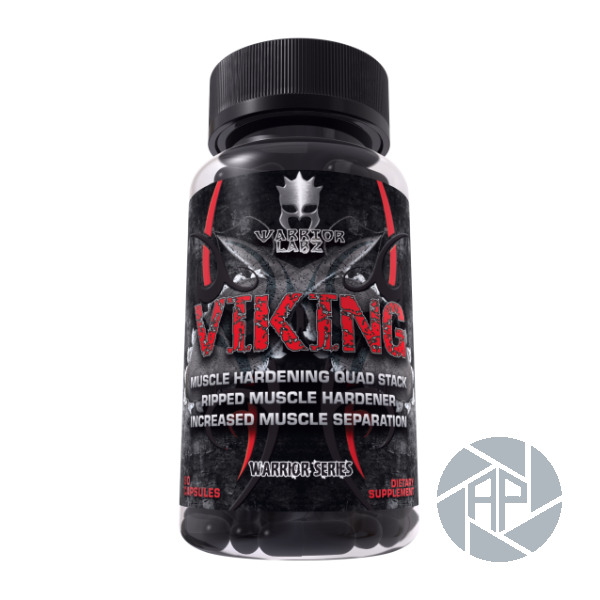 A pronounced drying out effect is achieved with Vikings. The recommended dosage of this oral supplement Viking for beginners is 1-2 capsules/day. The dosage can be increased to 1-3 capsules per day if not enough efficacy is observed with the previous dosing protocol. For advanced users, 2-4 capsules can be swallowed with meals on a daily basis for maximized performance. The optimal duration of this drug is 4 weeks. Never exceed the duration limit beyond 4 weeks as it may cause heartburn or abdominal discomfort. This medication is not to cure, prevent or treat any of the disease.